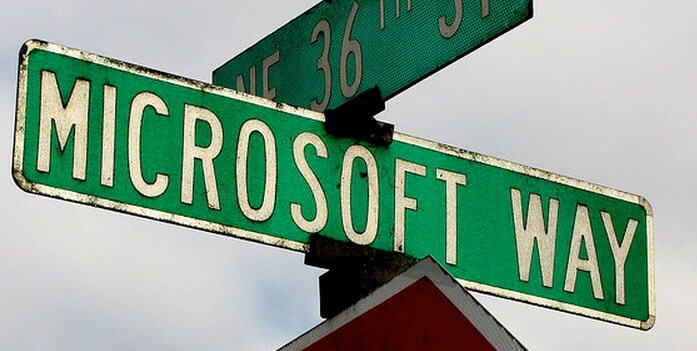 Today Microsoft reported its first quarterly (fiscal 2013) financial performance. For the three month period, the firm had revenues of $16.01 billion, and earnings per share of $0.53. Analysts had expected revenue of $16.42 billion, and earnings per share of $0.56. The company’s stock gyrated at the start of after-hours trading, but has now begun to decline. Update: After losing a little more than a percent, Microsoft appears to have stabilized. Investors aren’t enthused by its quarterly report, but are also not too worried. In normal trading, the company’s stock was mixed, losing some steam towards the end of the day. The market for technology stocks was not exactly favorable following Google’s disappointing – and premature – earnings report. This is the final quarter for Microsoft before the company will release a set of new products – Windows 8, Windows Phone 8, Surface, etc – that are at the forefront of its transition from pure software company, to one that is both a service and device provider. Windows revenue was exceptionally weak in the quarter: “The Windows & Windows Live Division posted revenue of $3.24 billion, a 33% decrease from the prior year period.” This is not particularly surprising, given that Windows 8 is just around the corner. That fact likely led to consumers holding off from purchasing a new computer, and may have cut into normal retail sales of Windows 7, a product that has been a revenue driver for Microsoft for some time. On the back of rising revenue per search, Microsoft’s Online Services Division managed to grow 9% during the quarter, when compared to the same year-ago period. Team Xbox and its division partners declined by 1%. Rounding up the list, Servers and Tools was up 8%, while the Office division declined by 2%. This quarter is roughly a wash for the company. Its performance is not devastatingly bad, and given that Microsoft is set to release such a set of new products in about 8 minutes, its performance of the last three months is almost irrelevant What is next in line matters far more than these past 90 days.